“On the Threshold of a New Beginning” My Fellow Jamaicans: I address you at a most historic moment in our country. Never before has an address been given at the New Year by a Leader of the Opposition who is also Prime Minister Designate. Let me thank the people of Jamaica, including the youth and our children for the warmth, confidence and support which they have shared with me and the team I led in the recently concluded General Election. To all of you who participated, especially those who worked in the administration of the process, our country is thankful to you for preserving and strengthening our democracy. Our democratic institutions provide the cornerstones on which our future successes will be built. Let me therefore salute the Jamaican citizenry for once again showing that we can, do what all modern democratic countries must do. That is, engage openly in a competitive democracy and emerge stronger as one people. Our country is at a very special and significant crossroads in our history. We are on the threshold of a new beginning. We stand in the moment of a new dawning. It is against this backdrop of reality and new possibilities that I bring you a message of hope and resolve for the New Year. 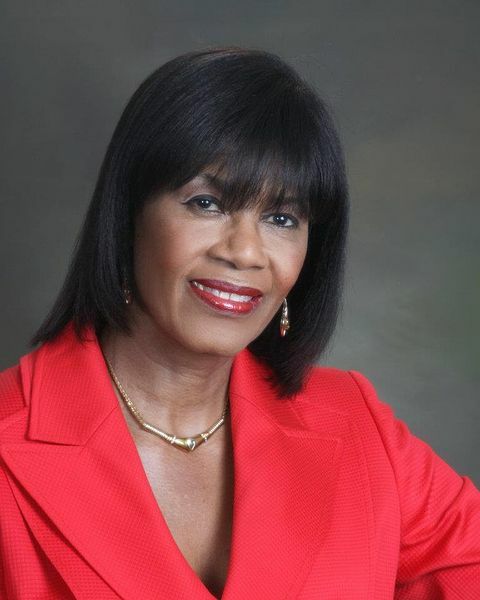 As we enter the year 2012, we begin the journey towards Jamaica’s 50th year of Political Independence. Along the way there have been many challenges, many advances and some set-backs. Now, as we begin this New Year, we have an excellent opportunity to recommit ourselves to advance as ONE NATION. The general election is behind us. We must now get on urgently with the business of creating more economic and social opportunities for our people. In creating those opportunities, I give you my commitment to offer leadership that is consultative and inclusive. As a nation we must move quickly past the elements which divide us. As we begin this march towards our 50th Anniversary, we must, as a nation, strive to attain real equality of opportunities for all. It is time to achieve an authentic democracy which is of the People, for the People and by the People. The creation of a genuinely Just and Caring Society is within our grasp. We must maintain integrity and honesty of purpose in public life. I call upon our vibrant and talented nation to recommit to our Motto, “Out of Many, One People”. This is an ideal for which our National Heroes and Heroine fought long and hard. I now summon our nation builders in each and every family, community, social class, profession, and business organisation. I call on every religious group, civil society, every political party, trade union, and Jamaicans in the Diaspora. This is a time to build together. I call upon all Jamaicans everywhere, to recommit to our national objective of making Jamaica the place of choice to live, work, play, raise our families and do business. This is the goal of our Jamaica 2030 vision. The challenges are great, but our resolve for success must be uncompromising. We must achieve this goal through inclusiveness, and through the positive transformation of our people’s lives. We must work with every fibre of our being individually and collectively, to realize peace, progress and prosperity for all our people. In our forward march as a nation, we shall leave no community behind. We must resolve not to leave any person or family behind. We are still in the midst of a world economic crisis. There are serious problems in our national economy. However, we cannot despair and we must never lose hope. The challenges call for a national consensus on the way forward. They require the creativity, perseverance, fortitude and conquering spirit for which Jamaicans are known. National action is required to create employment for our people as we generate wealth in honest and productive ways. In times of challenges, we have lifted ourselves before and we will do so again. I am fully aware of the challenges that are ahead, but I am equally excited by the prospects for truly united national action to confront them. Let us take hold of those opportunities and rekindle our spirit of resilience and togetherness, as we chart a course to a brighter future. I believe that a brave new world is opening up for our people. Our young people are impatient for greater opportunities to learn, to earn, and to travel within our Caribbean space and beyond. We must provide those opportunities. The way forward for our country involves achieving higher levels of production and sustained productivity within the framework of national, regional and global partnerships. Times of challenges as we are now experiencing call for a nation of innovation. Energy and Information Communications Technology have been identified as the overarching sectors to drive such innovation as we reposition the economy for expansion and growth. As we lead a national economic revolution utilizing science and technology as an engine for growth, we must also lead a positive transformation in our social relations. We must build a nation of mature citizens and leaders who take personal responsibility for our actions. Participation, accountability and responsibility must be significant hallmarks of our social interaction. I invite the nation to unite as one family shaping the future together around our common vision and goals. Let us embrace peace, honesty and unity. Let us go forward to be the best that we can be. Together we can; together we must; together we WILL. I extend my sincere wishes, to all Jamaicans at home and abroad, and visitors to our shores, for a happy, peaceful and prosperous New Year. May God bless you all; may God bless Jamaica Land We Love.